Many travel insurance providers will now cover people with HIV, but this may incur an additional cost. With the majority of providers HIV will need to be declared as a pre-existing condition, however there are now some exceptions. It is wise to shop around and to carefully check the details of each policy. As the long-term health of people with HIV has improved, providers of travel insurance have become less restrictive. It is now possible for someone with HIV to get appropriate travel insurance and be covered for HIV-related claims, especially if you are stable on effective HIV treatment. However, you usually need to mention your HIV status when applying for insurance and policies should be checked carefully. Most general travel insurance policies exclude “pre-existing medical conditions”, i.e. illnesses that a person already has, or has had in the past. If you know that you have HIV, this is normally classed as a pre-existing condition and so you need a policy which covers it. Have you started a new antiretroviral treatment in the last three months? What is your latest CD4 count? What is your latest viral load? Have you been advised to start antiretroviral treatment but chosen not to? People who are stable on antiretroviral therapy, with an undetectable viral load and a CD4 count over 350, and without other health problems, are often able to obtain travel insurance with only negligible additional costs. Other pre-existing conditions, such as diabetes or asthma, often have a greater impact on premiums than well-controlled HIV. However, if your medical situation is not stable, if you are waiting for test results, if you have recently been admitted to hospital, or if you have another medical condition as well as HIV (a co-morbidity), there may be additional costs or it may not be so easy to get cover. In addition, some insurance providers do not require you to declare HIV as a pre-existing condition. Two are listed below – at the time of writing, one provider did not require HIV to be declared by people who have been on treatment for more than six months and have an undetectable viral load, while the other did not require HIV to be declared by any person with HIV. However, policies from providers which specialise in cover for people with HIV may be more expensive than policies from other insurance providers. If the initial outlay is not high, there may be a high excess which means that the policy requires large payments for a part of any treatment received. It’s vital to check that a policy provides adequate cover. 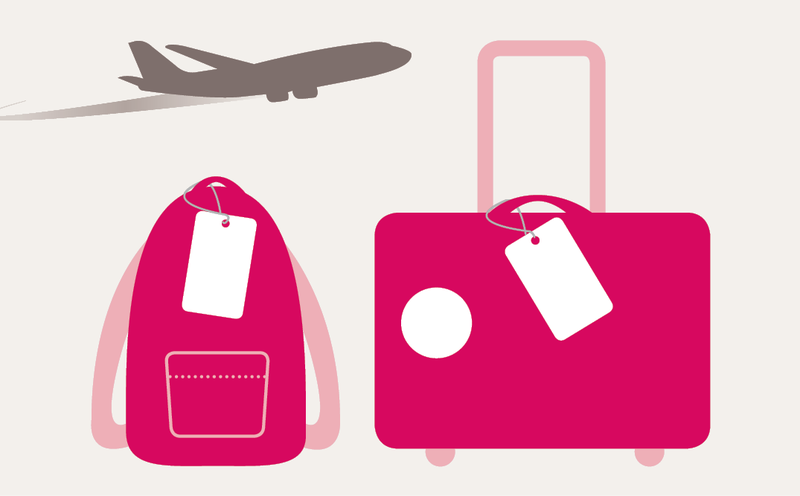 A good travel insurance policy should provide cover for cancellation or curtailment, medical and repatriation (bringing someone back to the UK) expenses, accident loss or damage to personal possessions, loss or theft of money, legal expenses and personal-liability cover if you injure a third party. Experts recommend having cover for £2 million medical expenses, £2 million personal liability, £2000 cancellation cover and £1500 baggage cover. Price comparison websites are a good place to start, especially if you are stable on treatment with an undetectable viral load. An online search for “travel insurance comparison medical conditions” will identify suitable websites. While we cannot provide recommendations for any particular provider, some companies offering cover for people with HIV are listed below. It is always wise to shop around for a range of quotes and select the insurer which best meets your needs. It's So Easy Travel Insurance does not require you to disclose HIV as a pre-existing medical condition (regardless of CD4 count/viral load level) and has a policy of never disclosing your HIV status on your documents. Emerald Life does not require you to declare HIV as a pre-existing medical condition if you have an undetectable viral load and have been stable on medication for the previous six months. World First specialises in insurance for people with pre-existing conditions. Freedom specialises in insurance for people with pre-existing medical conditions. Withholding information about your HIV status or lying in your application for insurance comes with risks, including having the policy cancelled and being ‘blacklisted’ by insurance companies. If you choose travel insurance which does not cover pre-existing conditions and fall ill while abroad, you may have difficulties claiming medical expenses. Some simple cases of travel illness not related to HIV have required lengthy battles to prove this and insurers have tried to refuse to meet the claim. Where possible, covering for all eventualities can give peace of mind.